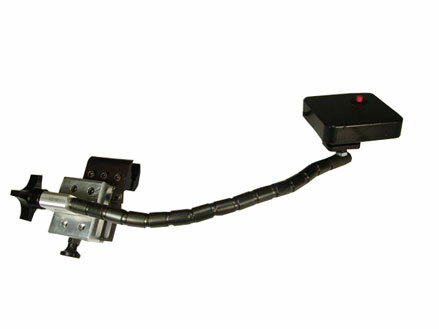 The ASL 613 Flex Arm Mounting Hardware is an extremely flexible mount that will allow you to mount the driver control or switches to where the client is most functional. The multiple joints will allow you to move it in any orientation and the knob on the back (when loosened) allows for all of the joints to move freely. Once you get it in place, tighten the knob which will stiffen the bar. When the arm is in an optimal position to swing away for transfers there is a quick release that allows the bar to swing away and come back to its original placement. The attachment hardware will allow you to mount ASL 131 PMJ, ASL 130 MEC, ASL 138 ECJ, ASL 136 MMJ, ASL 108/107, and any single sensors like the ASL 203 or ASL 204. 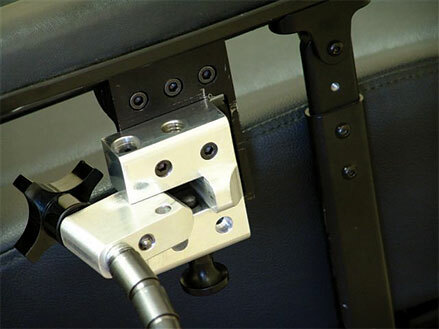 We only recommend these light touch joysticks and sensors for this mount.